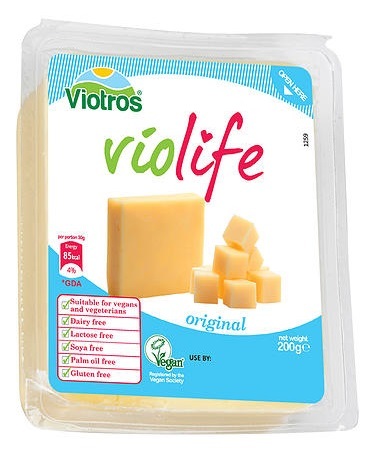 I have been trying vegan “cheeses”. I tried these about twenty years ago and they were vile but now…wow! This was great in a panini with salad and vegan mayo but was even better on a baked potato. Next was Vegusto’s No-Moo Melty. This is great in a “cheese on toast” way. When grilled it reminds me of Welsh Rarebit, creamy and soft. I also added it to a bolgnese sauce but whilst this was nice, it seemed to be a waste. It would have been better grated over the finished dish. I have other Vegusto products in the ‘fridge waiting to be tried. This is lovely, though a little too mild for me. Violife do make variations so I shall try those, though I shall have to buy them on line. For a bolognese, or for cooking in general we have a cheese sauce that makes things more easy. Thanks for the recommendations. I have been toying with the idea of trying some of these as I am limiting my dairy more and more and cheese and butter are almost the last things O currently eat. I’ll give some of these a try.